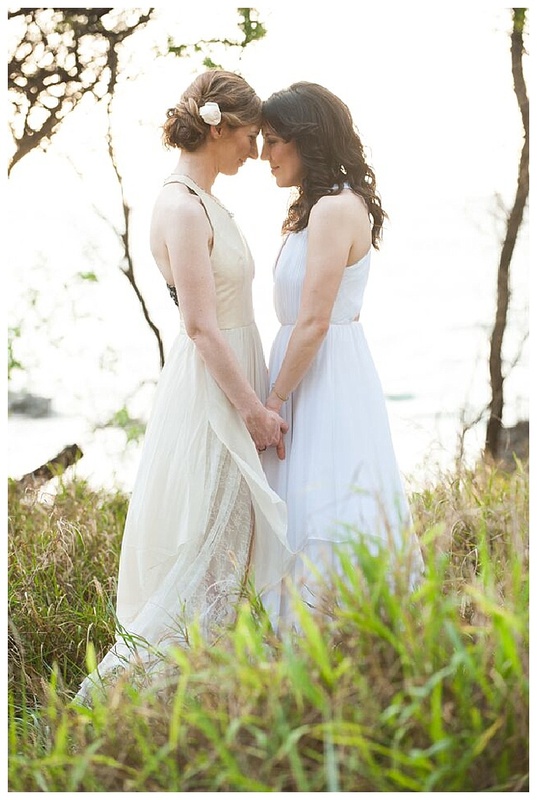 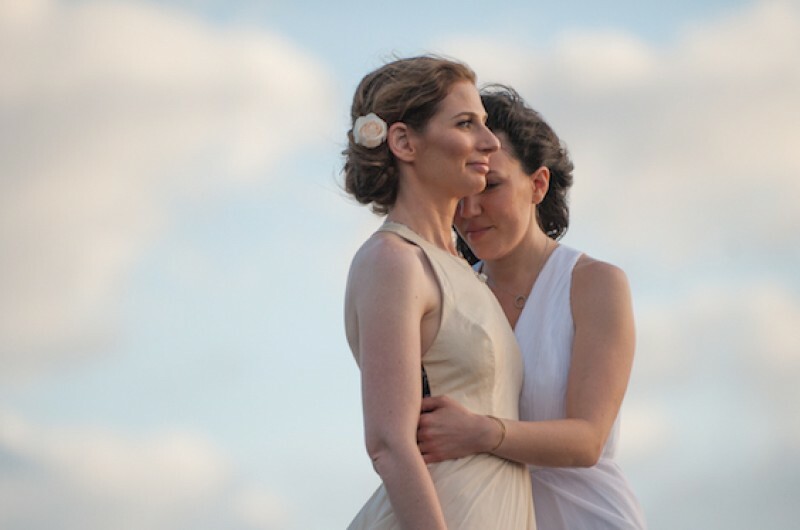 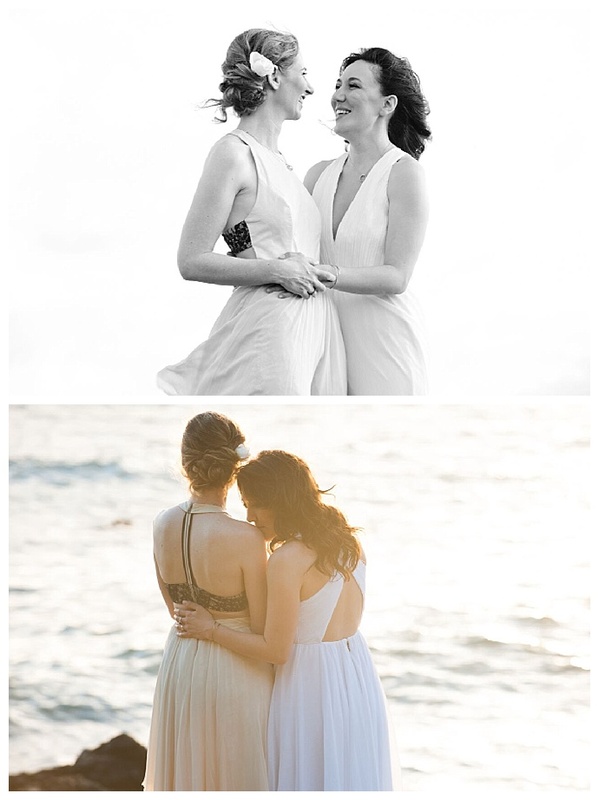 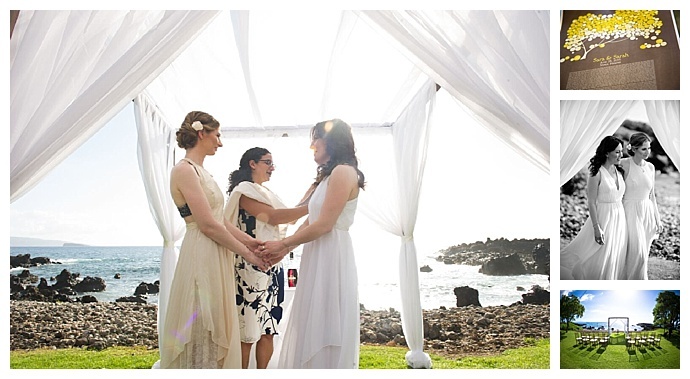 Sara and Sarah wanted to let the picturesque beauty of Hawaii’s breathtaking landscape speak for itself. 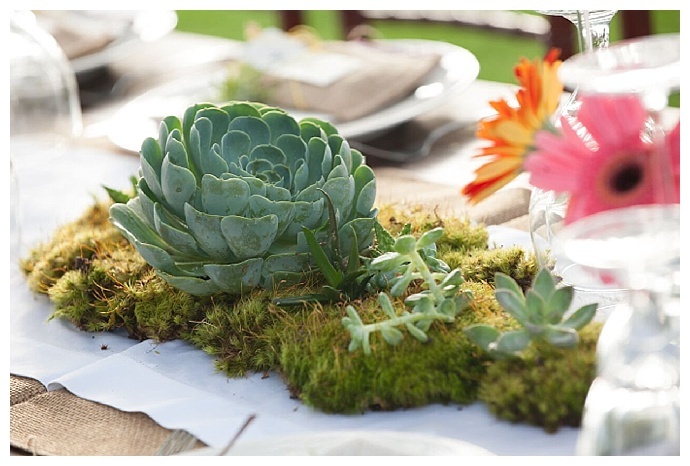 A Jewish ceremony (filled with original and modernized traditions) was followed by a casual but elegant reception styled by Bliss Events, with twinkling edison lights and bare farmhouse tables topped with succulents, moss and craspedia. 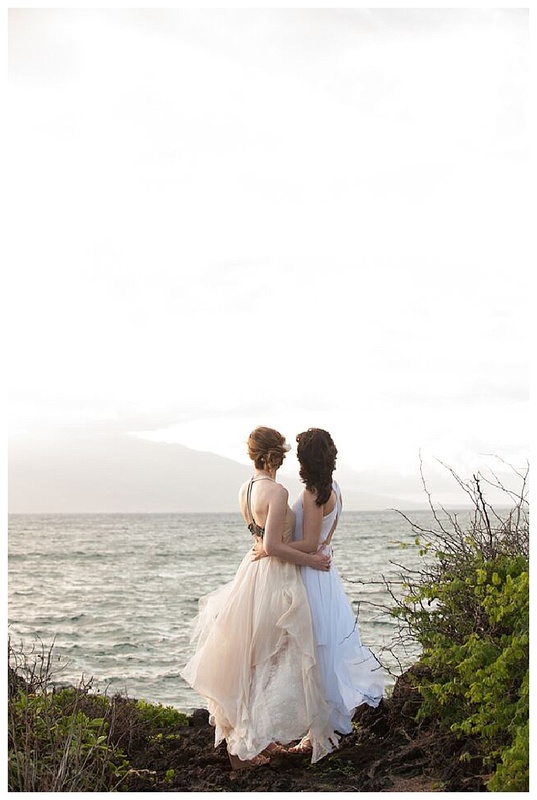 Their Alice + Olivia gowns looked carefree and chic, particularly against the dramatic backdrops that Amity Mason Photography guided them to. 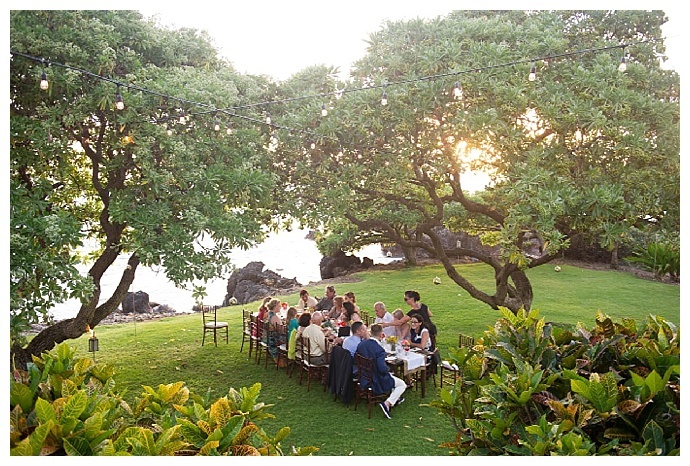 Their 20 guests dined underneath towering trees on a menu that took advantage of the local sea fare. 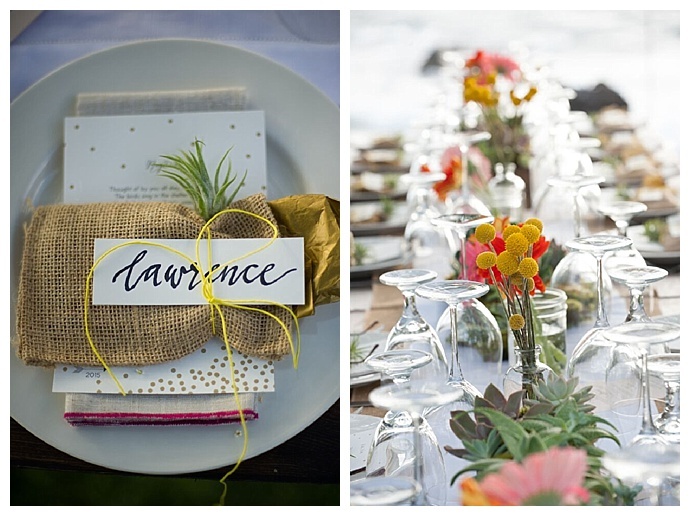 Each place setting was composed of custom ceramic plates that doubled as favors. 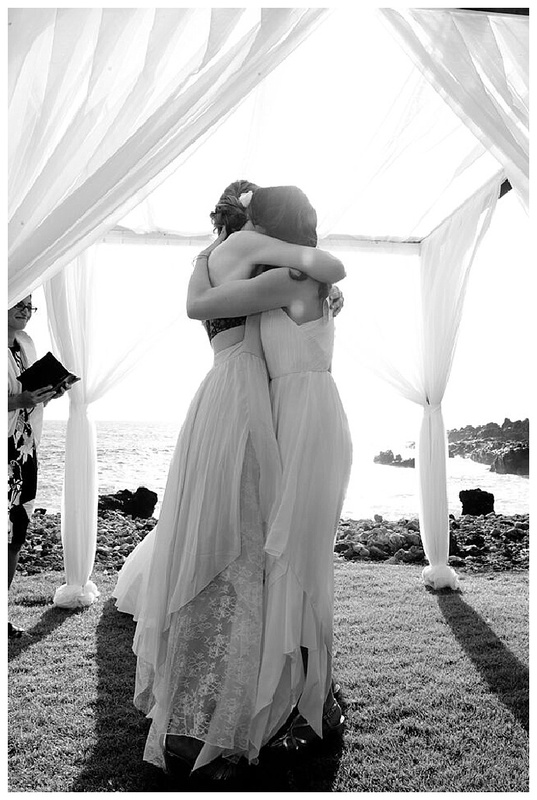 They were engraved with S+S 2015, wrapped in burlap and twine and placed with an individualized love poem notecard and air plant.